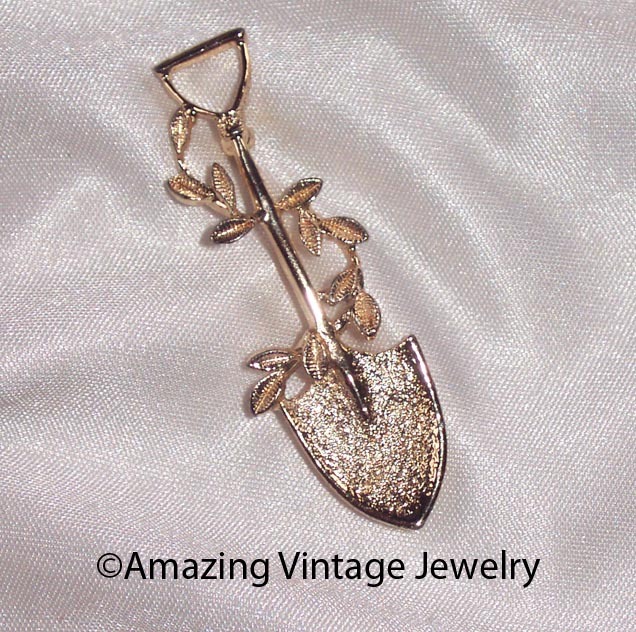 PIN - "GOLD MINER" AWARD PIN. BRIGHT AND TEXTURED GOLDTONE SHOWEL WITH VINE. 2 3/16" LONG, 3/4" ACROSS. 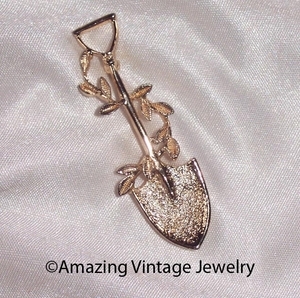 VERY GOOD CONDITION WITH A TINY CHIP TO THE FINISH ALONG THE RIDGE OF THE SPADE PORTION OF THE SHOVEL.